Emil Omert was born on 15 January 1918 at Ginolfs in the Rhön region of Unterfranken. Omert was posted to II./JG 3 on 1 February 1940. His stay with the unit was short as Oberfeldwebel Omert was soon transferred to 4./JG 2. By the end of 1940, he was serving with 9./JG 77. He gained his first victory on 6 April 1941, when he shot down a Yugoslavian Ikarus fighter during the invasion of the Balkans. He was also to undertake many ground-attack misisons during this campaign. Omert claimed two RAF aircraft shot down during the invasion of Crete. Operating over the Eastern front, Omert shot down five Russian SB-2 twin-engine bombers on 26 June 1941. By the end of 1941, he had 39 victories to his credit. He had also received promotion to officer rank. On 10 February, Omert was appointed Staffelkapitän of 8./JG 77.  Leutnant Omert was awarded the Ritterkreuz on 19 March 1942 for 45 victories. He claimed his 50th victory on 12 June. He flew his 500th mission of World War 2 on 22 June. When III./JG 77 relocated to North Africa in October 1942, Omert had 53 victories to his credit. He claimed six victories over North Africa. He was later to claim a further eight victories over Sicily and southern Italy. He was wounded in aerial combat on 13 July 1943. From 29 January till 31 March 1944 he was acting Gruppenkommandeur of II./JG 77. On 4 April 1944, Omert was appointed Gruppenkommandeur of III./JG 77 based in Romania. He claimed three USAAF four-engine bombers shot down in this theatre. Omert was shot down in aerial combat with USAAF four-engine bombers over Finta Mare on 24 April 1944. He baled out of Bf 109 G-6 (W.Nr. 160 826) “Yellow 1”, but was then shot dead while hanging in his parachute. 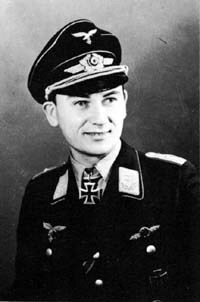 Emil Omert was credited with 70 victories in over 700 missions, including 125 fighter-bomber and ground attack missions. He recorded 20 victories over the Western front, including four four-engine bombers. In addition he claimed 25 aircraft destroyed on the ground and a Russian high-speed patrol boat sunk.